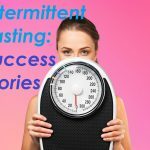 If you’ve experimented with intermittent fasting as a weight loss or maintenance technique, perhaps something like the 5 2 diet, you’ll be well aware of how difficult it can be getting through the “fast” days. 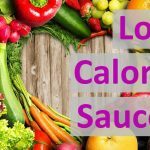 Limiting your calorie intake to 500 calories a day is certainly not easy. You’ll be forgiven if you found this page while frantically searching for hints and tips for the 5 2 diet, and hopefully you’ll leave feeling a little bit better! 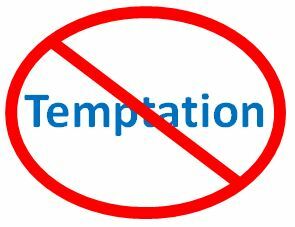 We’ve spoken previously about things you can do to help get through those difficult days, but in this post we’ll focus specifically on removing temptation, as this warrants a conversation in it’s own right. In an ideal world, you’d wake up on the morning of your planned fast day, with all your meals organized ahead of time and plenty of good liquids to hand (mainly water)… oh and you wouldn’t see a morsel of food, or hear anyone talk about food other than what’s in your plan. You’d start your day with a healthy breakfast, and everything would play out perfectly from there! In practice it obviously doesn’t work out like this, but there are steps that you can take to help avoid temptation and keep you motivated. This is particularly relevant if you’re fasting after a “cheat day”. It will be much easier to stick to your diet if you don’t have a fridge full of tempting treats. The night before your planned fast day, have a good look through your cupboards and throw out anything that you’d regret eating later. Also, if you have food left over from after dining in a restaurant, don’t take it home with you. While this is unquestionably wasteful, try to put your concerns to one side and think about the bigger picture. 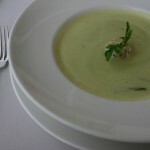 If you’re worried about the waste, perhaps give the food away to someone else instead of throwing it out. If you’re worried about the cost, see it as a necessary expenditure to help you lose weight, somewhere down the line you might save that money in medical bills. 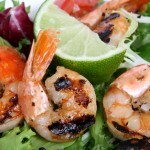 Breaking your diet isn’t something that happens instantaneously, there are distinct stages to it. Assuming you’ve followed step one above and thrown out the bad food, you can’t possibly go wrong unless you buy more food. The solution to this is simple; don’t buy it. Ideally you want to avoid situations where food is on sale altogether, certainly don’t choose your fast day to do the weekly grocery shop. If you do have to go out to the shops, take only enough money for the things that you know you need to buy, and pay cash. Of course, it is unlikely that you’ll be able to avoid social situations altogether, but try to schedule nights out with friends, or coffee with a colleague around the days that you’ve chosen to stick to 500 calories. These types of situations inevitably expose you to difficult decisions like whether to have a piece of cake with your coffee, or a glass of wine instead of the water, and you’re friends are unlikely to be very understanding. They say that you are the average of the people that you spend most time with, so hanging out with people who have little regard for their waste line on your diet days will only make your plight more challenging! 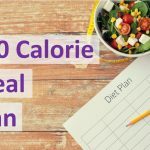 Creating a meal plan ahead of time will help to make sure you stick to the diet as it removes the temptation to improvise. 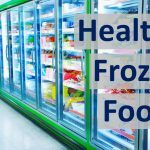 You can cook up a batch of healthy frozen foods and keep it in the freezer, meaning you’ll always have healthy options to hand. These steps are probably at the more extreme end of the scale and they won’t be possible for everyone. For example if you live with other people you can’t realistically expect to throw away all their food. But before you make excuses and dismiss these idea outright, think about whether you can apply them in some small way to your situation. Reading through some of the stories of people who have achieved success with intermittent fasting is an excellent way to keep you on track. 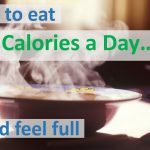 Everything that you can do to remove temptation will make getting by on 500 calories a day that little bit easier, taking you a step closer to your fitness goals. « Is Climbing Stairs Good For You?